The movie will be released on Oct. 4. Joaquin Phoenix stars in Warner Bros.' "Joker. "Warner Bros.
LOS ANGELES — Smiling may be the theme of the first trailer for Todd Phillips' "Joker," but it's anything but smile-inducing. 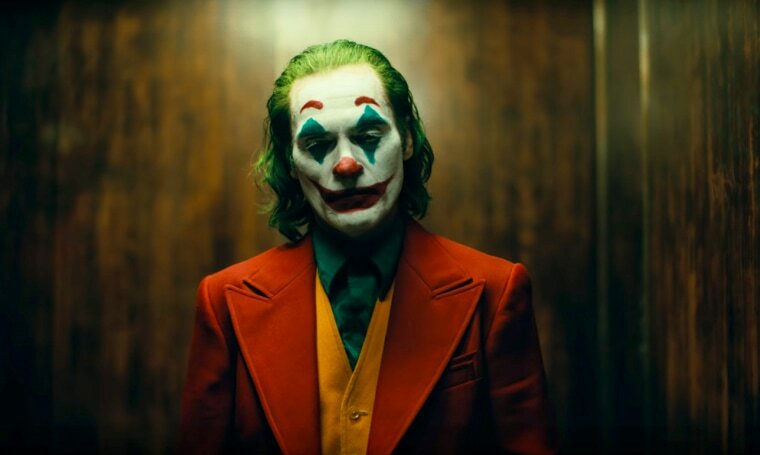 The disturbing teaser, set to a somber cover of Nat King Cole's "Smile," released on Wednesday shows Joaquin Phoenix's character's transformation from a momma's boy to the Clown Prince of Crime. "I used to think that my life was a tragedy," Arthur says. "But now I realize ... it's a comedy." "My mother always tells me to smile and put on a happy face," he says in a voiceover as he gives his mom a bath. "She told me I had a purpose to bring laughter and joy to the world," he adds as his character is shown being terrorized and assaulted while dressed like a clown and working as a sign spinner on the street. Footage from the film debuted during Warner Bros.' presentation at CinemaCon on Tuesday evening. The movie hits theaters on Oct. 4.